Following a great evening with other local businesses at the PwC Plymouth Children in Poverty Charity Quiz in early October, Giles Blight, Partner at Bailey Partnership discussed the extreme poverty affecting many families within our our City with his own family. His daughter, Megan, was extremely shocked to hear that some 11,000 children in Plymouth are living in poverty. Inspired by the “Grow, Share and Cook” initiative that she read about on the PCiP website, Megan decided to harvest the seeds from the sunflowers she had grown from seeds given to her by her best friend, Holly, on her recent 10th Birthday in order to raise funds. Dubbed by the family as “super” sunflowers, due to the immense size that they grew, this seemed a great idea! Having flowered and brightened up Megan’s family garden, they were cut down and the flower heads dried. Once they were dry enough, Megan, assisted by her mum and little brother, harvested the seeds in order to provide further floral enjoyment next year. Megan designed and printed her own packaging to ensure that a brand was created to maximise the sale value of her product. Hyde Park Junior Schools PTA kindly donated Megan a stall at their recent Christmas fair and Megan started to sell her product. 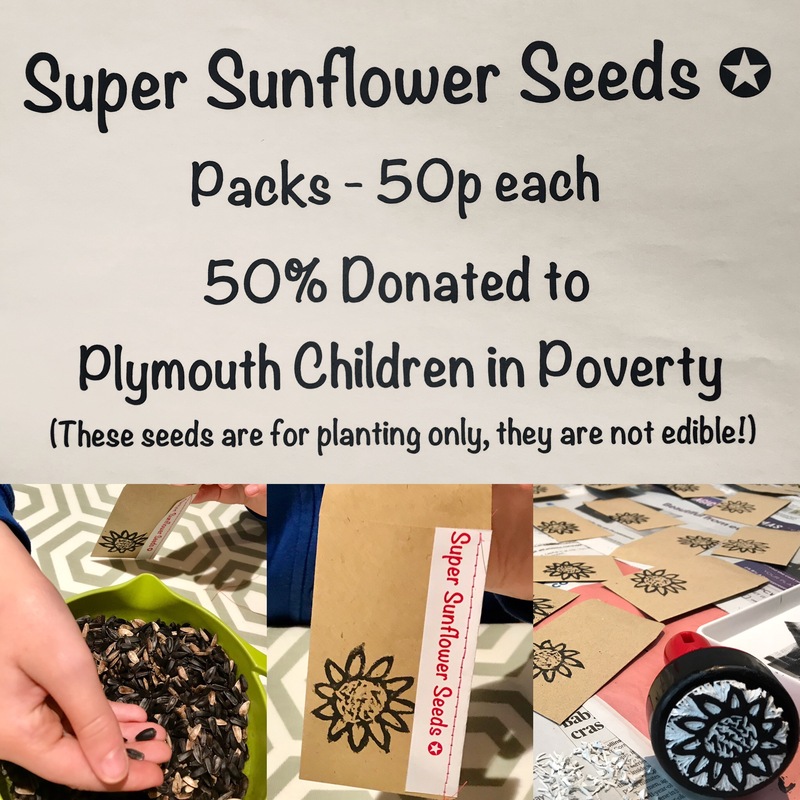 Selling each packet of 50 seeds for 50p Megan’s sunflower seeds sold very well and she made £48, 50% percent of which she has donated to the PCiP fund. Megan’s father has subsequently increased the £24 raised by Megan to £50 as that will provide the funding for one 15-17 year old to take part in the National Citizen Service Programme, helping to boost their CV and improve their confidence and social skills, raising their self-esteem and aspirations by increasing awareness of the opportunities available in life.